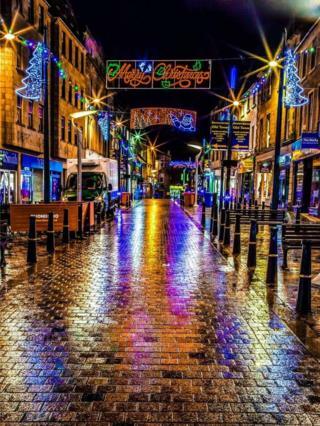 Image caption It's beginning to look at a lot like Christmas in Inverness. Gordie Bain took this early morning picture of the city's high street. 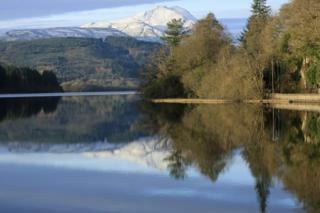 Image caption Neil Macdougall took this picture of snow-capped Ben Lomond during a walk along the shore of Loch Ard. It was a "perfect morning", he said. 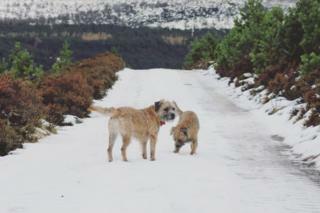 Image caption These two Border Terriers - Brodie and Bunty - enjoyed playing in a "winter wonderland" at the Linn of Quoich, near Braemar, on Saturday. 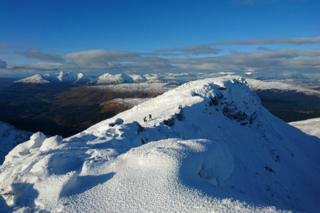 Image caption Gary Hodgson, from Aviemore, said he could see for miles when he took this photo of Ben Lui. Image caption Ready for your close-up? 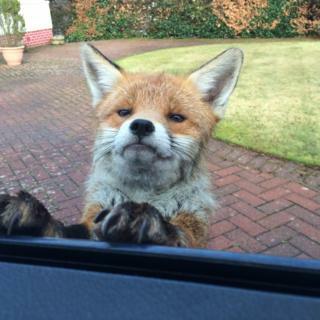 Brian Green was sitting in his car on his driveway in Newton Mearns when this fearless fox approached him. Image caption A balancing act? 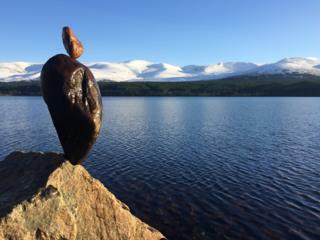 Neil Walker said this was created by European artistic stone balance champion Caroline Walker next to Loch Morlich in the Cairngorms. 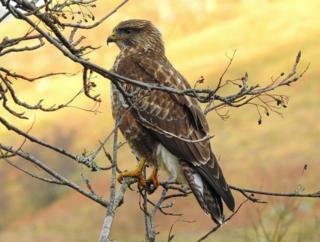 Image caption Brendan Scullion, of Erskine, spotted this buzzard in Glen Douglas. 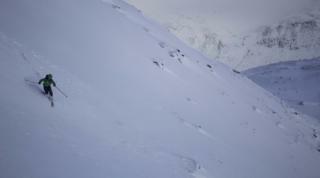 Image caption Gordon Pearson and Kevin Neal, who took this picture, enjoyed perfect conditions when they took to the slopes of Beinn Dearg, near Ullapool. 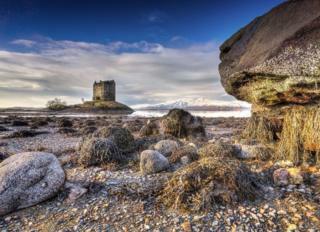 Image caption Castle Stalker, in Argyll, was photographed by Gordon Heaney, from Hamilton, during a long road trip. Image caption We've been inundated with images of deer this week. 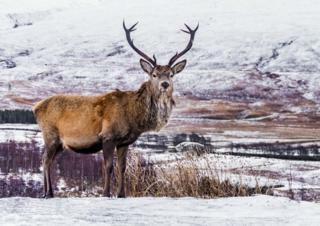 This is surely one the best - a young stag seen in Glencoe by Gordie Bain, of Inverness. 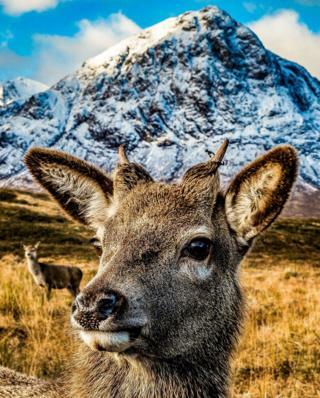 Image caption There's no deer in this picture but it's a stunning picture of Glencoe, nonetheless. Taken by Rafal Wardziak. 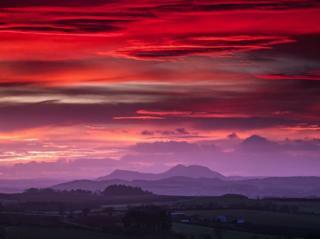 Image caption Curtis Welsh captured this sunset over the Eildon Hills in the Scottish Borders. It was "incredible for a fleeting moment in time", he said. 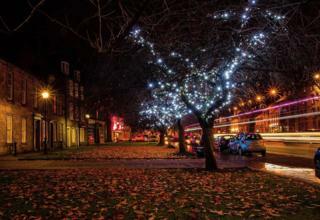 Image caption The illuminated trees on this Musselburgh street look amazing, said Chris Spowart. 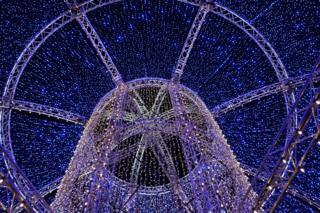 Image caption This is an unusual view of the light dome at the junction of George Street and Castle Street in Edinburgh, by Beverley Bergman. 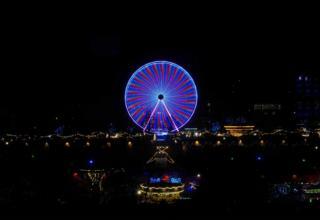 Image caption Matthew Corney took this picture of the ferris wheel at Edinburgh Christmas market. 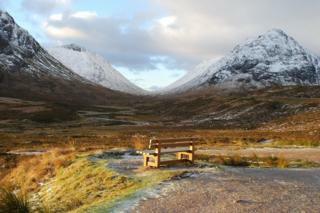 Image caption Scotland isn't just lochs, glens and deer, of course. 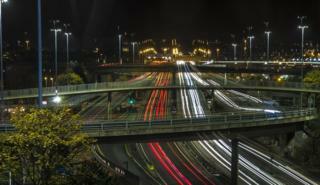 David McErlane took this picture of the light trails on the M8 at Charing Cross.